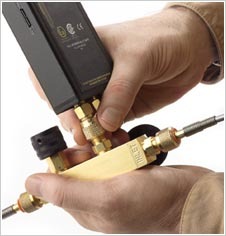 Our adapters are available for nearly every popular gauge and in all standard connections. 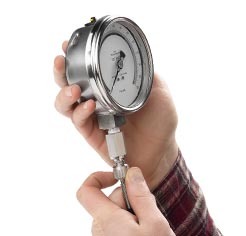 Keep your precision gauge separate from your hand pump. 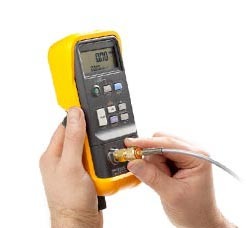 (Quickly connect and disconnect to standard connections without any wear and tear on threads in your pressure calibrator or test gauge). 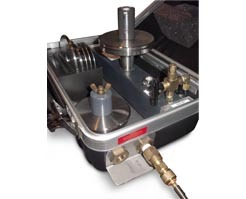 Get more from your Pressure Reference by quickly connecting to multiple pressure sources. 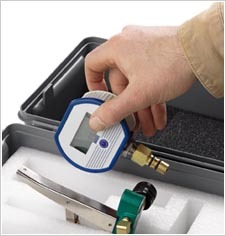 Connect to larger calibrators or get more flexibility for inconvenient configurations. 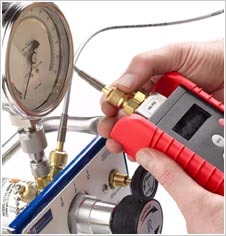 Minimize measurement uncertainty when connecting directly to a primary standard.